[Update: Unlocked Variants] Verizon Moto Z2 Force Starts Getting Oreo 8.0 - AndroGuider | One Stop For The Techy You! Motorola isn't the fastest when it comes to updates. Four months ago, the Lenovo owned company listed the devices which will be updated to Oreo. Now the Verizon Moto Z2 Force is the first of those many devices to get the Oreo update. Reddit user /u/motoxcolors shared a screenshot of the Oreo update which he got on his Verizon Moto Z2 Force. Several other users on the Moto Z subreddit also acknowledged of receiving the update. Android 8.0 Oreo includes various new features like picture-in-picture mode, a cleaner Settings menu, better battery life. Motorola's user interface is closely based to that of stock Android. 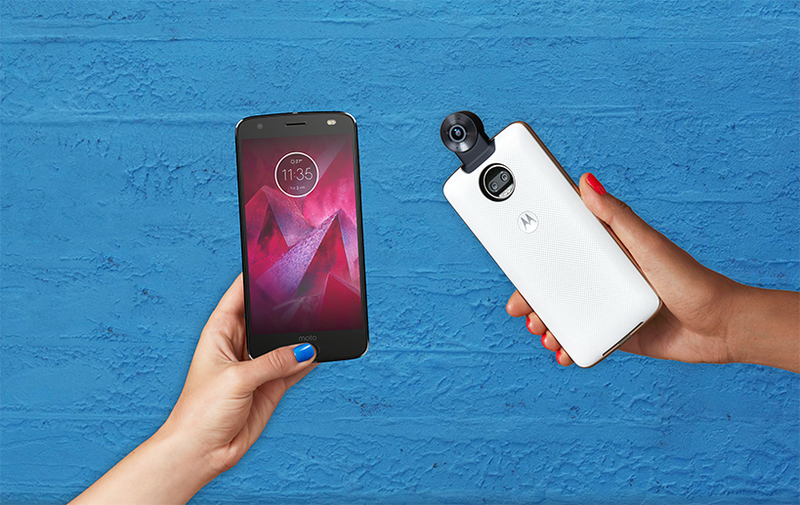 Moto Actions such as double twist to launch the camera and chop twice to launch the flashlight are also present. Motorola hasn't yet shared any information as to when the update will be available in the other regions, but it might be available in a month or two. T-Mobile Moto Z2 Force is getting the Oreo update too. The build number of the update is OCX27. Unlocked variants of the Moto Z2 Force are getting the Oreo update now. The above screenshot comes courtesy of a Moto Z2 Force user residing in the UK. The update is rolling out with build number OPX27.109-34. Besides all the Oreo goodies, camera enhancements and December 2017 security patch are also included.